​On March 6, 1888, Don José “Pepe” Llulla died in what is now the Bywater neighborhood of New Orleans. At the age of 73, Llulla had made himself famous for two things: he was a renowned duelist, and he also owned St. Vincent de Paul Cemetery. Llulla’s life was the kind from which New Orleans legend are spun. He was a valiant Spanish swordsman who frequently took up the mantles of honor and integrity on the field of one-on-one battle. Upon being knighted by the King of Spain, he was gifted a wreath of victory spun from the shining tresses of Spanish women’s hair. He once pulled a machete on a Cuban revolutionary. His legacy, then, is double-edged: Llulla’s contribution to the landscape of New Orleans cemeteries is second only to his impact on the city’s romantic imagination. Pepe Llulla was born in 1815 on the island of Menorca in the Mediterranean. Today, the island is part of Spain. At a young age, Llulla became a sailor. First under the mentorship of an English captain and later as an independent seafarer, Llula traversed “with whalers to the Antarctic Zone, and with slavers to the West African coast, and, after voyaging in all parts of the world, entered the service of some merchant company whose vessels plied between New Orleans and Havana.” Census records suggest that Llulla settled in New Orleans around 1840, at the age of 25. At that time, he had secured a position working security for a ballroom and social hall. The nature of his work in New Orleans caused Llulla to gravitate toward the art of fencing, which was practiced not only in combat but in private salons. Llulla studied under a local duelist from Alsace named L’Alouiette, whose salon he later took over and became teacher himself. From here, Llulla’s reputation as a witty, cunning, and skilled fencer and duelist only grew. Although additionally skilled with firearms, his weapons of choice were more often swords, foils, and (to a lesser extent) knives. Accounts differ as to how many duels Pepe Llulla actually engaged in (and won), but they generally agree between twenty and thirty matches. Hearn notes that many of these ended not in bloodshed but with the retreat of his opponent. In fact, he suggests that Llulla only actually killed two men. The only match which Pepe had declined was reportedly one in which the opponent chose “poisoned pills” as his weapon of choice – a type of Russian roulette with cyanide – and this only after objection from the duel’s referees. While Llulla’s opponents on the field of honor were of many backgrounds – New Orleans Creoles, Alsatians, Germans, and others – he made special efforts to combat Cubans. The man with the poisoned pills was from Havana. In another instance, a Cuban opponent chose machetes as the weapon of choice, as he believed that such weapons were not available in New Orleans. From the account, it appears as if Llulla instantly produced two matchetes, at which point the Cuban disappeared. Through his lifetime, Pepe Llulla dabbled in many different business ventures. He purchased real estate and ran a logging company. For some time, he staged bull fights in Algiers. Yet he is best remembered as the proprietor of the “Louisa Street cemeteries,” which he likely purchased in the 1840s – although one source states date of purchase as 1857. St. Vincent de Paul Cemeteries No. 1 and 2 are located on Louisa Street, near Robertson in the St. Claude neighborhood of New Orleans. Often confused with another set of cemeteries with the same name located Uptown, these cemeteries were likely the parish cemeteries for the Catholic church of St. Vincent de Paul, located on Dauphine Street in the Bywater neighborhood. The exact founding date of this cemetery is quite unclear. Some sources have presumed the property came into use as a burying ground in the 1830s, but an exact citation or primary source is not provided. In fact, the exact year in which Llulla purchased the cemetery remains unclear. On the far periphery of twentieth century studies of New Orleans cemeteries, St. Vincent de Paul experiences the twin historical blows of scant documentation and academic apathy. Despite its present-day low profile, St. Vincent de Paul Cemetery flourished under the management of Pepe Llulla. Wall vaults in the cemetery’s oldest sections are galleries for some of the most talented stonecarving of the 1840s and 1850s – the delicate hand-tooled flowers of Florville Foy, ornate German Fraktur by Anthony Barret, inverted torches and wreaths carved by Americo Marozzi and Audré Samonzet are all present. The integrity of these stones surpasses that of even the older, better-known St. Louis Cemeteries, which have been frequently altered over time. Most of these tablets are framed with railings of cast- and wrought-iron, accented with zinc finials. The aisles of St. Vincent de Paul Cemetery No. 1 retain the marks of large-scale tomb development. Rows of identically-built structures line the brick-paved walkways, each bearing the alterations and changes in material that would develop over time and use. 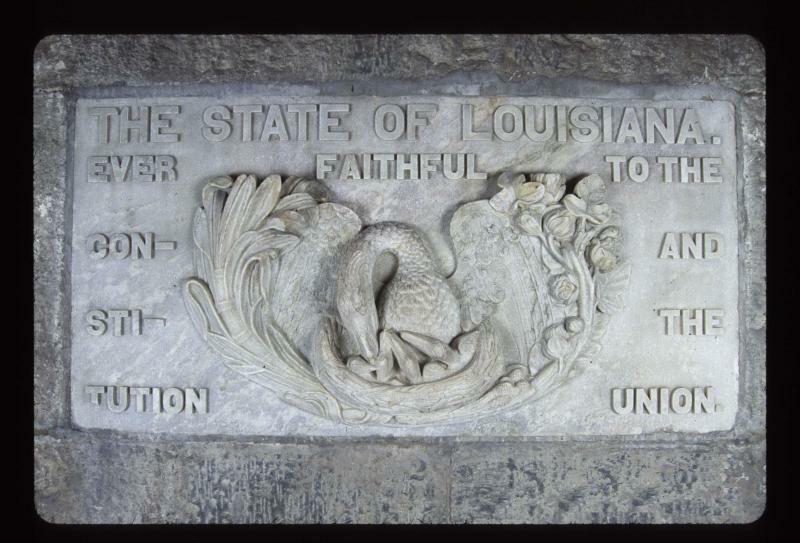 The society tombs of the United Brethren and Sons of Louisiana (signed by “Joseph Llulla, 1873”) while today faded from their Classical-revival glory, bely the historic grandeur of the landscape. In the 1870s, St. Vincent de Paul Cemetery was described as “one of our finest and best-managed burial grounds” by the New Orleans Democrat. By this time, the cemetery had developed into a verdant landscape with reportedly excellent drainage – a constant problem in New Orleans cemeteries. Juniper and cedar trees shaded the aisles, roses and other fragrant flowers grew in the garden lot of the Hermann Lodge of the Independent Order of Odd Fellows (no longer present today). Newspapers even took note that families in Uptown New Orleans had begun to purchase lots in St. Vincent de Paul, preferring it to the Lafayette Cemeteries of their home district. The cultural associations of those who buried loved ones in St. Vincent de Paul Cemetery No. 1 and 2 are strikingly diverse. While in other cemeteries it is clear that those with linguistic or national similarities typically utilized the same burying grounds – for example, French-speakers in St. Louis No. 2, Americans in Lafayette No. 1, Italians in St. Roch No. 2 – St. Vincent de Paul represents all walks of life and nations of origin. Tablets in French, English, German, Italian, Portuguese, Spanish, and even Chinese line its wall vaults. In addition to the tombs of the French Sons of Louisiana and the Societe Francaise, St. Vincent de Paul was also once home to tombs dedicated to the members of the German Louisiana Wolthatickeits Verein and Italian Tiro al Bersaglio, although both tombs have since disappeared. After Llula’s death in 1888, sources state that ownership of the cemetery was passed on to Llulla’s children – although this fact may be incorrect, as Llulla’s only son died in the 1860s, and he had but one other daughter. It is possible that his siblings obtained ownership. For this reason, it is unclear whether management of the cemetery after 1888 was effective or perhaps misguided. The landscape of the cemetery shows slowed development and little new tomb construction with the exception of some large, 1920s-style tombs near the Villere Street wall vaults. St. Vincent de Paul No. 2, which sits between Desire and Piety Streets, shows an explosion of coping construction, likely between 1910 and 1930. It was during this period that two of St. Vincent de Paul’s more famous “residents” were buried, the African American spiritualist leader Mother Catherine Seal and the Romany “queen” Marie Boscho. In 1910, ownership of the St. Vincent de Paul Cemeteries transferred to the Stewart family. Stewart Enterprises later became the second-largest funerary corporation in the world, which also owned Metairie-Lakelawn Cemetery and Mount Olivet Cemetery in Gentilly. During this time, St. Vincent de Paul No. 3 was heavily developed, including a large community mausoleum on Villere Street. In 2005, a service building and other property belonging to St. Vincent de Paul Cemetery on Louisa Street was damaged in Hurricane Katrina and was demolished. In 2013, Stewart Enterprises was purchased by first-largest funerary corporation Service Corporation International (SCI), who now owns St. Vincent de Paul Nos. 1, 2, and 3. Piety Street wall vaults prior to "improvement." September 2015. Piety Street wall vaults after inappropriate "improvement" which will damage this 140 year-old structure over time. March 2016. Iron enclosures removed from wall vaults and lying tangled in aisleway. March 2016. In 2015, SCI announced that it would spend $7.2 million in “improvements” to its recently-acquired cemeteries in New Orleans, including St. Vincent de Paul. Unfortunately, these improvements have dangerously ignored preservation ethics and best practices. For St. Vincent de Paul No. 1, this has meant encasing the Louisa, Urquhart, and Piety-street wall vaults in heavy, inappropriate Portland cement-based stucco, as well as treating its 140 year-old tablets with harsh bleach and pressure washing. Perhaps most troubling, the delicate ironwork rails that once framed each wall vault have been torn out and lay entangled in the cemetery’s aisles. The extent of the damage to these vaults will only be truly visible in decades to come, when material constrictions, lack of ventilation, and material weight will destroy the historic fabric underneath. The legacy of Pepe Llulla is one of romance and anachronistic bravado, of sword fights and burning candles on marble tombs through the night of All Saints’ Day. The place of the cemetery he built in New Orleans’ larger funerary landscape is much more important than it has been given credit for. If this fact is not soon realized, St. Vincent de Paul Cemetery will be lost before it is ever truly understood. c. 1850 limestone tablet carved by Anthony Barret in German Fraktur lettering. This tablet was irreversibly damaged by pressure washing. The vast majority of knowledge regarding Don Pepe Llulla comes from the observations of Lafcadio Hearn, whose documentation of Llulla appears to have influenced all later writing on the man. Lafcadio Hearn, and S. Frederick Starr, ed., Inventing New Orleans: The Writings of Lafcadio Hearn (Oxford: University Press of Mississippi, 2001), 49-60. “Death of Senor Don Jose Llulla,” States Item, March 7, 1888, p. 4. Christovich, Huber, et. al., New Orleans Architecture, Vol. III: The Cemeteries (Gretna: Pelican Publishing, 1974), 32. “A Mournful Holiday. How All Saints’ Day Was Celebrated in Our Cemeteries,” New Orleans Democrat, November 2, 1878, p. 8; “All Saints’ Day. An Outpouring of All Our Population to Decorate the Graves,” New Orleans Democrat, Nov. 2, 1878, p. 1. 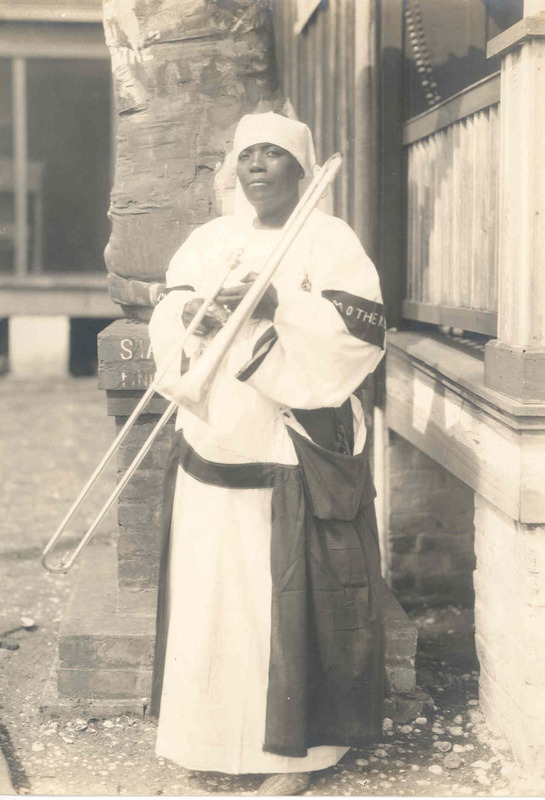 Author Zora Neale Hurston wrote an excellent piece on Mother Catherine, which can be read here: http://www.fiftytwostories.com/?p=1068.